The Exhaust Gas Cleaning Systems Association (EGCSA) has called for industry dialogue on the use of marine scrubbers as part of shipowner/operators' IMO 2020 compliance strategy, suggesting that long-term their use alongside HSFO is better for both the environment and human health compared to using "toxic distillates" alone. The call comes after the technology has faced a sustained period of strongly worded criticism that culminated in an announcement Friday by the Maritime and Port Authority of Singapore (MPA) that from January 1, 2020 Singapore will ban the use of open-loop scrubbers in its waters due to environmental concerns. EGCSA and fellow scrubber advocacy group Clean Shipping Alliance 2020 (CSA2020) have both criticized Singapore's ban and highlighted an apparent lack of scientific process used to arrive at the decision. "The EGCSA welcomes dialogue and evaluation based on science and evidence. 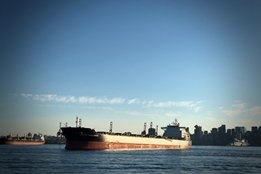 We encourage all ports to avoid the quick headline which is politically motivated and provides no measurable society benefit and instead to seek dialogue with the industry, conduct thorough investigations into all the available options for meeting the 2020 sulphur cap and to focus on sustainable solutions that will stand the test of time," EGCSA said in a statement to Ship & Bunker. Bolstering its long standing position that scrubber wastewater is not harmful to the marine environment, EGCSA told Ship & Bunker that scrubbers are an essential part of marine shipping's long-term environmental improvement picture. "Port authorities should consider that the ban of open loop marine scrubber operations is likely to promote the use of low sulphur fuel oils using 0.10%S distillate which have been shown to have a significantly higher toxic impact than heavy sulphur fuel oils (HSFO) (see "Health Effects of Shipping Emissions by Joint Mass Spectrometry Centre, Rostock University and Helmholtz Zentrum München study, presented at the Asia Emissions Technology Conference in Singapore in November 2017)," the association said. "There is furthermore evidence from the refining industry and the IMO Secretary General's Expert Group on sulphur to show that scrubbers emit 3%-5% less CO2 than low sulphur fuels over their lifecycle. A study by the University of Rostock furthermore identifies the exhaust emissions from low sulphur diesel fuels as posing a greater risk to human health than marine exhaust gas scrubbers. "It is also apparent that in order to address black carbon and other harmful ultrafine particles, the use of exhaust gas after-treatment is going to have to become ubiquitous as long as liquid fossil fuels are the main stay of a ship's energy. Investing in these technology developments will certainly be hampered by administrations if they act as unreliable stakeholders." The argument against scrubbers is that they simply move pollution from the air to the sea. Or as INTERTANKO Chairman Nikolas Tsakos puts it: "It's like inventing a new drug that perhaps will kill one of the illnesses, but will kill the patient through another illness." Tsakos subsequently called the Singapore ban a "victory". Countering the assertion by advocates such as EGCSA that there is no scientific evidence to suggest scrubber wastewater is harmful to the marine environment, detractors say there have been no major studies on the long-term environmental impacts of marine scrubber use. Important to note too is that Singapore is not alone when it comes to scrubber bans. In Europe, discharge of scrubber washwater is prohibited in all Belgium ports, German inland waterways, and the port of Dublin, while in the U.S., ports in Connecticut and California (the latter by virtue of the state's own specific fuel switching regulation) also prohibit scrubber washwater discharge. According to North P&I, United Arab Emirates also has certain rules on the matter, while Lithuania and Latvia are leaning towards a ban. Last month, the Norwegian Maritime Authority (NMA) proposed new emissions control areas (ECAs) where scrubbers would be banned. The "IMO 2020" global 0.50% sulfur cap on marine fuel comes into force on January 1, 2020. The vast majority of vessels are set to use low sulfur fuels to comply.